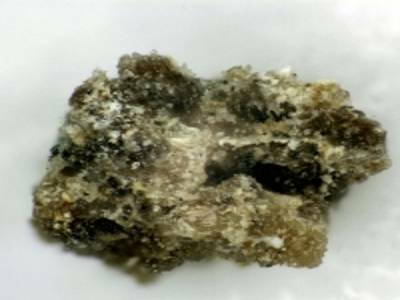 Archerite is a phosphate mineral with chemical formula (K, NH4)H2PO4. It’s named after Michael Archer (born 25 March 1945), professor of Biology, University of New South Wales. It occurs as a component of stalactites and crusts on the walls of caves containing bat guano deposits. Its type locality is Petrogale Cave, Madura Roadhouse, Dundas Shire, Western Australia. It occurs in guano containing caves as wall encrustations and stalactites. Archerite is tetragonal with second-order prisms and pyramids. The natural archerite calculated from the cell-dimension charts on the material of 8t % KH2PO4 is 2″23 and of KH2PO4 is 2-34 (Winchell and Winchell, 1964). There is no distinct cleavage and the mineral is relatively soft with a white streak and is water-soluble. The cave is entered through a small sinkhole, which opens into the entrance chamber containing old calcite decoration. The main guano deposits are at the far end of the cave, reached through several long chambers and tight clefts. 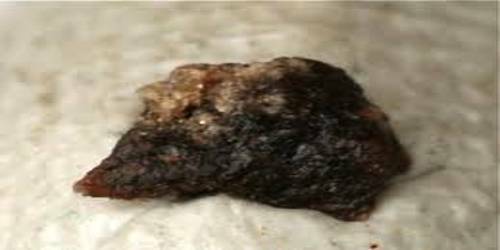 Dry pulverulent guano covers the cave floor except in the end chambers where convoluted crusts of aphthitalite and other minerals also occur. These appear to have formed from the desiccation of sludge-like guano deposits. The walls are coated with dark crystalline crusts, in places forming stalactites up to 12″ in length. These are mainly composed of biphosphammite.